Telstra in 2001 worked on raising the safety awareness of young drivers in Australia with “Phone Safe Drive Safe”, a television and print advertising campaign featuring a young woman using her mobile phone during a driving lesson. 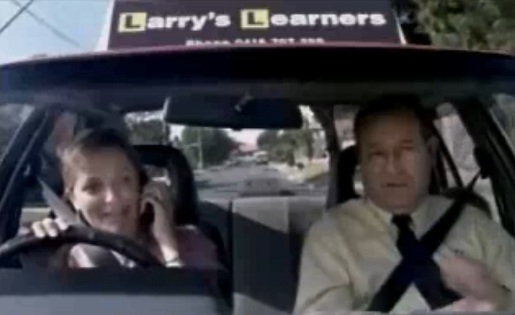 A driving instructor from Larry’s Learners provides a running commentary on his pupil’s dangerous use of a mobile phone while driving. The ad encourages drivers to pull over before talking. Telstra worked with Ericsson to discount hands free kits for mobile phones and invested in long term research on mobile phone use and road safety. The Drive Safe Phone Safe campaign was developed at Singleton Ogilvy & Mather, Melbourne. Filming for the Drive Safe Phone Safe ad was shot by director Robby Douglas Turner via Zealot Films.